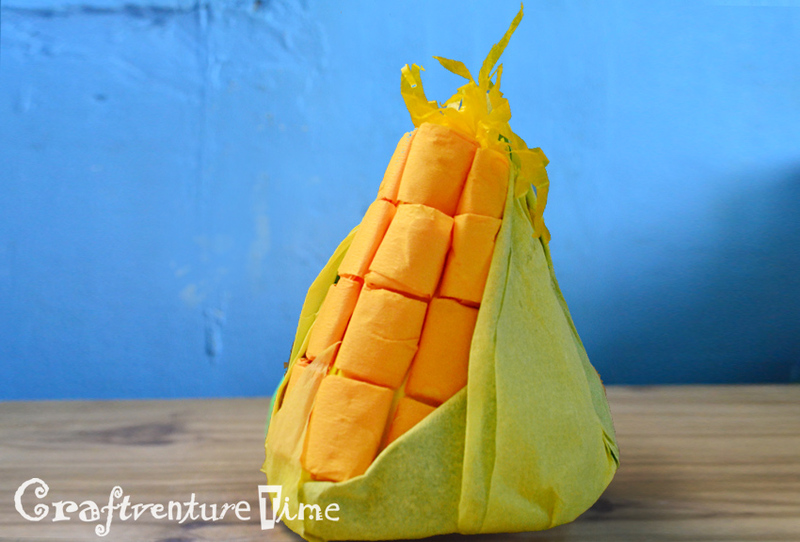 Need to come up with a fancy hat right away, say a fruit or a vegetable one? Here's a fast, green and economical option: start by folding a paper boat. 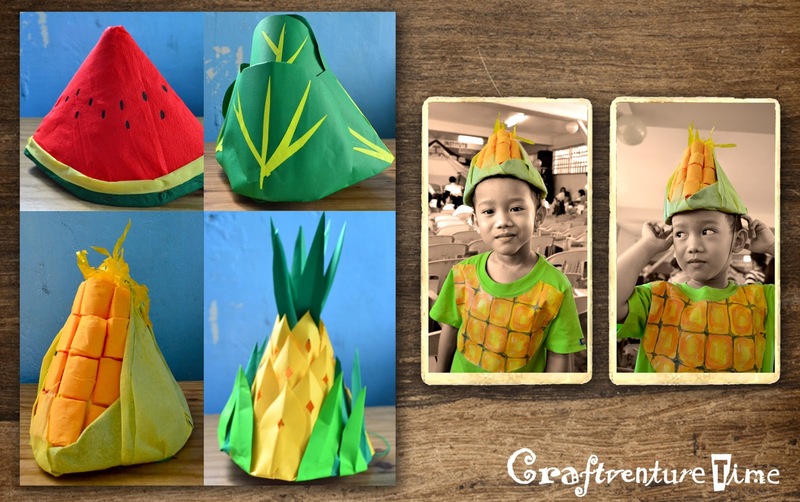 Now you are ready to create as many fruit and veggies hats you can think of. 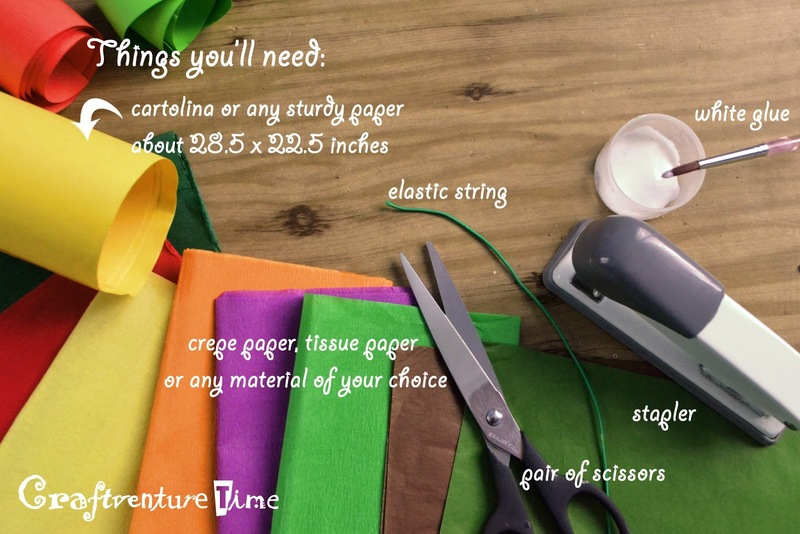 You only need your imagination along with some crepe, tissue or multi-colored papers to dress up your hat and rise to the occasion. 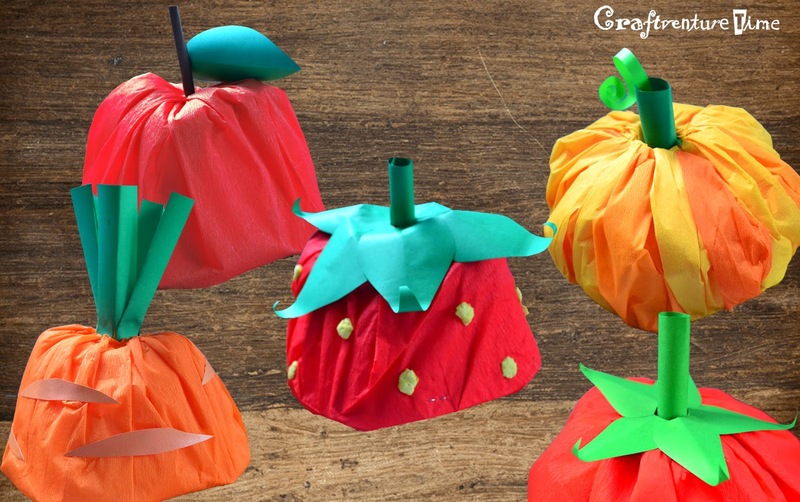 Here is an example on how to decorate a tomato hat. 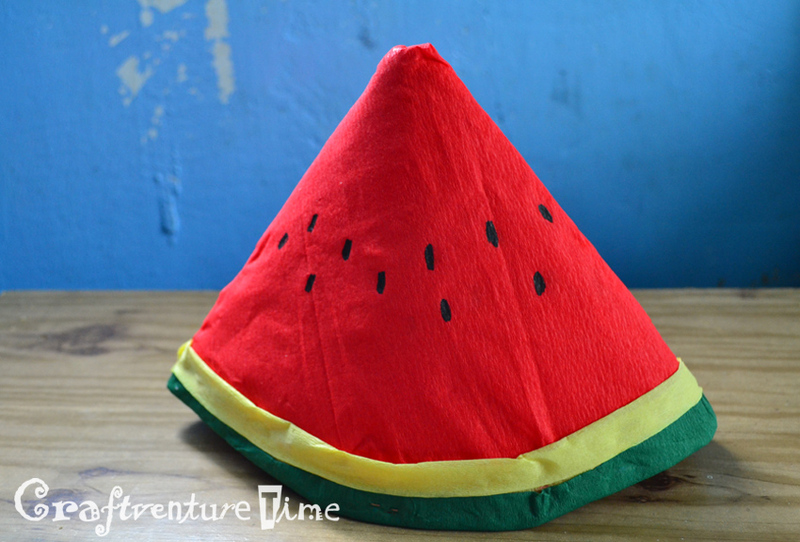 For more illustrations on this tomato hat click here. 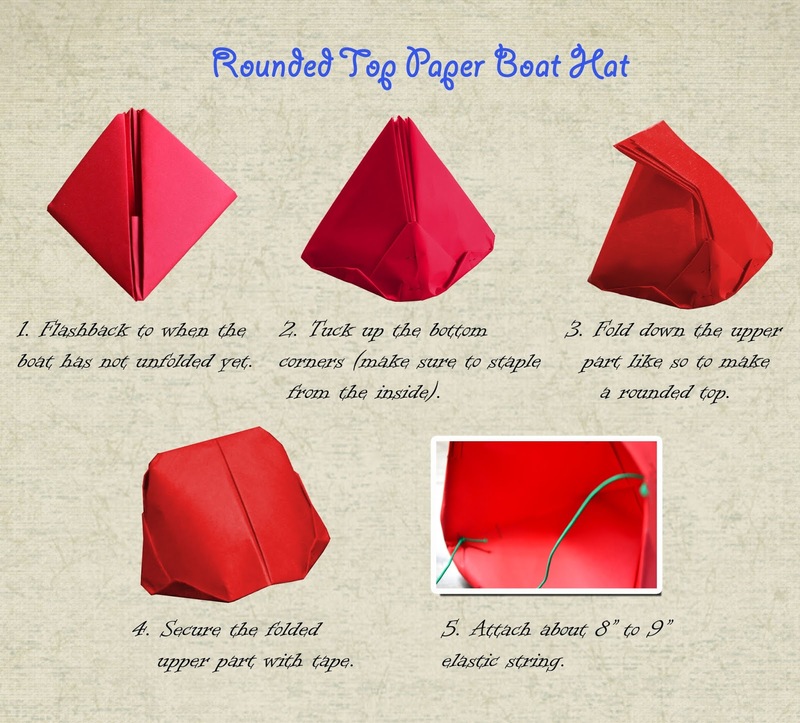 (1) To put a fruit stem, roll a green paper, make several cuts from one end to make flaps to glue on the top of the hat. 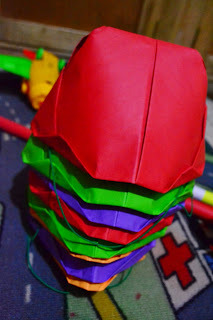 (2) Glue the crepe paper from the inside of the rim. (3) Cover the whole hat with the crepe paper, fold excess paper in and glue at the root of the stem. 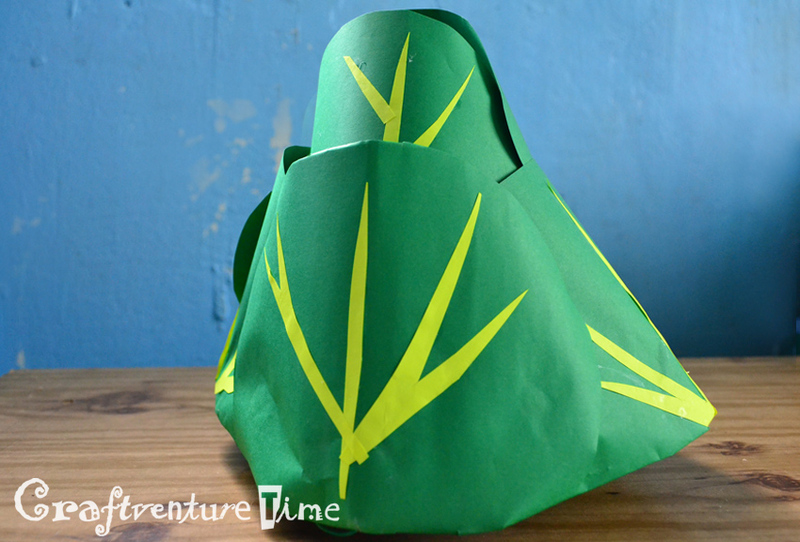 (4) Cut sepals from green paper and attach. 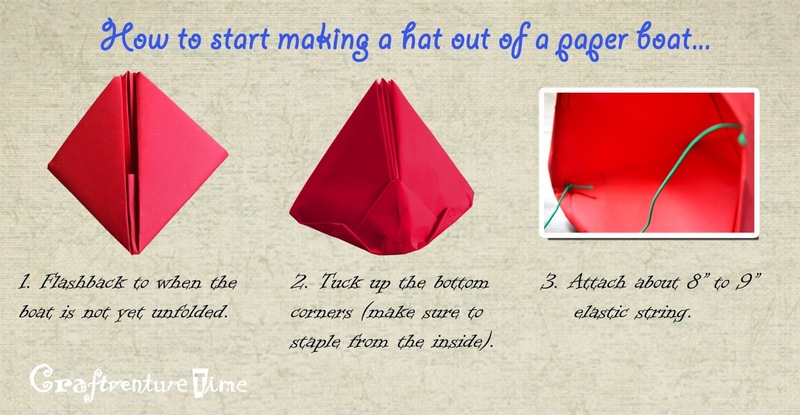 Carrot Paper Hat~ for step by step instructions click here. 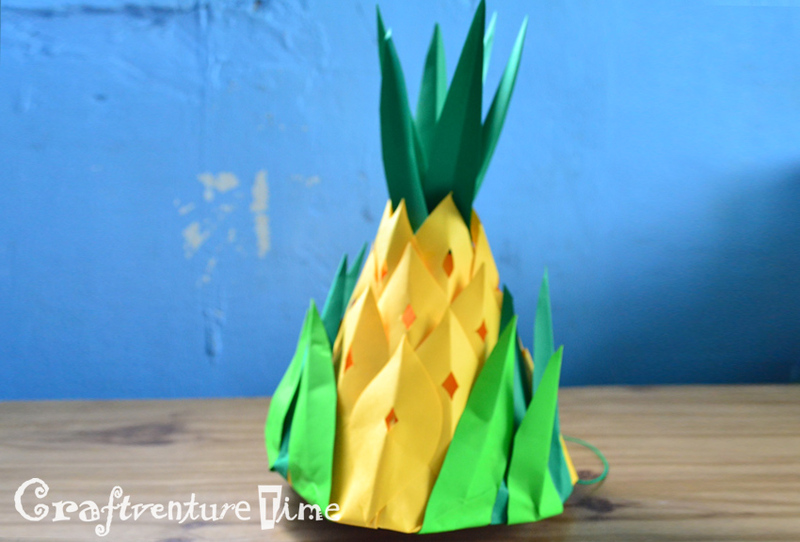 Need to come up with a fancy hat in no time and with minimum cost? 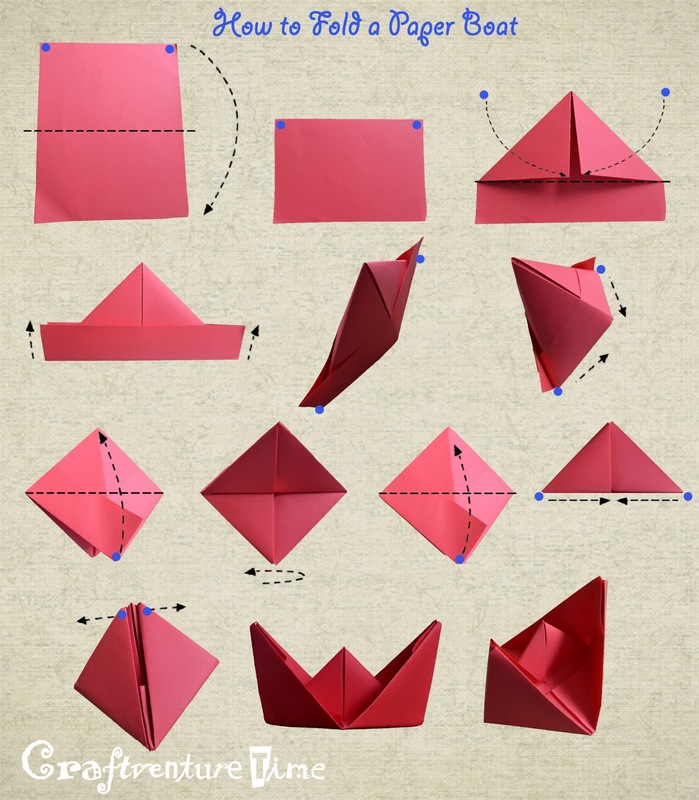 Start with something you have been an expert at making all along - folding a paper boat, and then explore the possibilities. The next step is when your craft wizardry takes over. 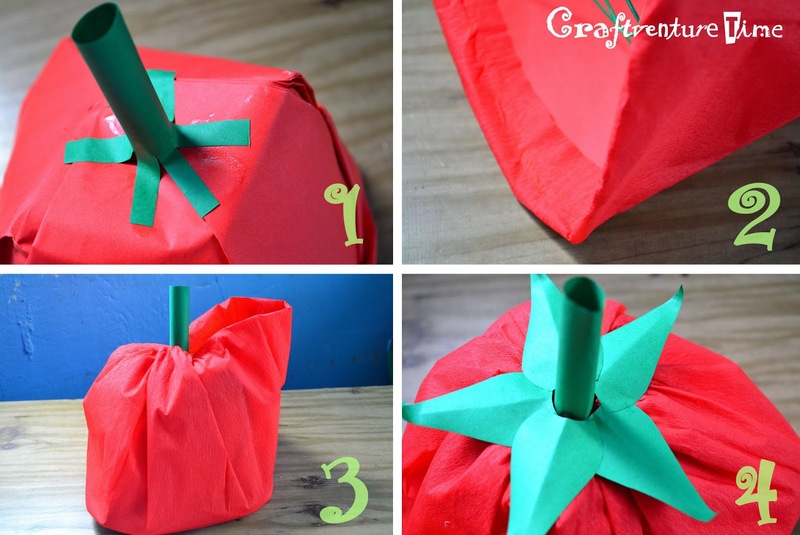 Decorate with crepe, tissue or multicolored paper to the design of your choice. For step by step instruction for a DIY paper pineapple hat click here. For step by step instruction for a DIY paper corn hat click here.